The city of Inman, South Carolina in located in Spartanburg County, and has just over 2,000 residents. But what they lack in population, they make up for in hospitality and passion. You, too, can add to the good ol’ southern hospitality and passion by searching for homes for sale in Inman SC. Inman’s residents are avid about their community, and are always involved and coming up with new ways to improve their city. Inman borders North Carolina, and is in a prime spot for popular places in South Carolina, North Carolina, Tennessee, and Georgia (Columbia, Charlotte, Gatlinburg/Pigeon Forge, and Athens). The city tries to keep its citizens involved by hosting a farmer’s market once a week, and during the warmer months they host “Music on Mill” which gives people a chance to enjoy good food and different styles of music. Aside from these community events, the city of Inman likes to give its citizens other chances to get involved, such as hosting public city council meetings, city court, and zoning meetings. It may be a small community, but it is one that prides itself on involved citizens and boasts placement around a hub of activity. Inman, South Carolina is a great place to live. 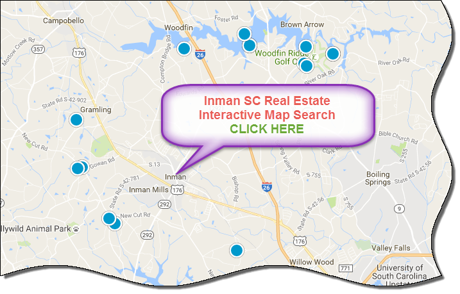 There are several homes for sale Inman SC to consider, and we can help you find and purchase the right home for you and your family. 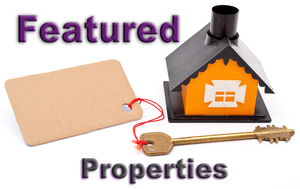 If you're looking to buy or sell a home in the Inman area, contact the PRODUCER Realty expert real estate team at 864-438-5050.